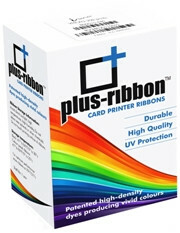 Save up to 30% off Card Printer ribbons without compromising on quality. Printer ribbon performance has a direct impact on the quality of your printed cards, so why compromise? Plus-Ribbon™ gives you outstanding results you can depend on, at a fraction of the price of printer manufacturers' branded ribbons. We know the cost of consumables can quickly add up. Now you can cut your costs dramatically with no drop in print quality. High quality at a fraction of the cost. 24 bit colour or greyscale printing. Up to 500 card sides from one ribbon. 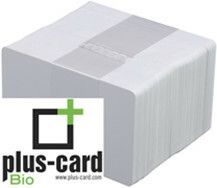 Plus-Card Bio perform exactly the same as stardard plastic cards. Created specially for desktop plastic card printers, Plus Card Bio is an ideal green answer for your Photo ID Cards, Membership Cards, Visitor Management, Loyalty Card etc. Print monochrome and colour edge to edge or spot. Plus-Card Bio is our response to the properties of normal plastics which last forever when discarded into the environment and add to the landfill problem. Unlike standard PVC cards, Plus-Card Bio™ is manufactured with revolutionary material that completely biodegrades within one to five years after constant exposure to a fertile environment where microorganisms are present; these include compost, landfill, rubbish tips, the ground, lakes, river and the ocean. All that is left behind is matter that can easily be worked into the soil or water and has no toxic effect to the surrounding environment. Plus-Clean perform exactly the same as stardard Cleaning Kits. for more information on these products, please click the below.